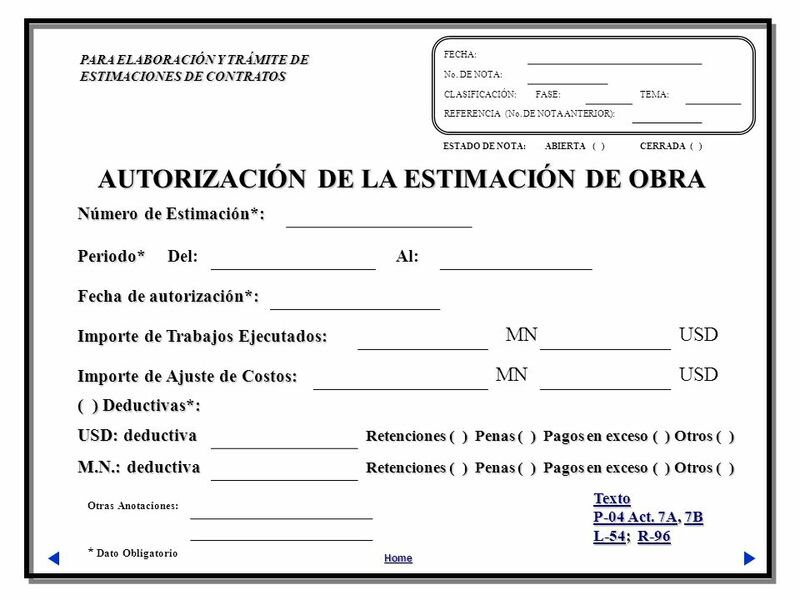 Descargar ppt "Otras Anotaciones: * Dato Obligatorio PARA ELABORACIÓN Y TRÁMITE DE ESTIMACIONES DE CONTRATOS Home FECHA: No. 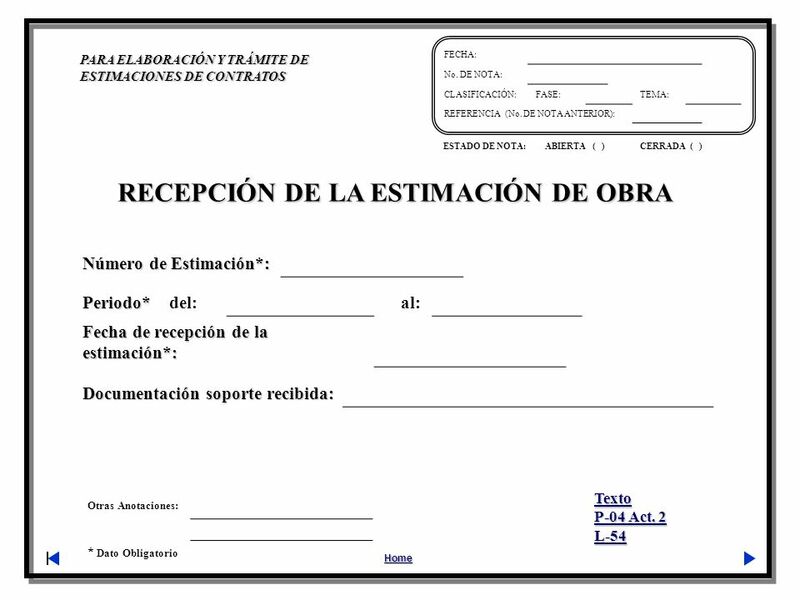 DE NOTA: CLASIFICACIÓN:FASE:TEMA: REFERENCIA." 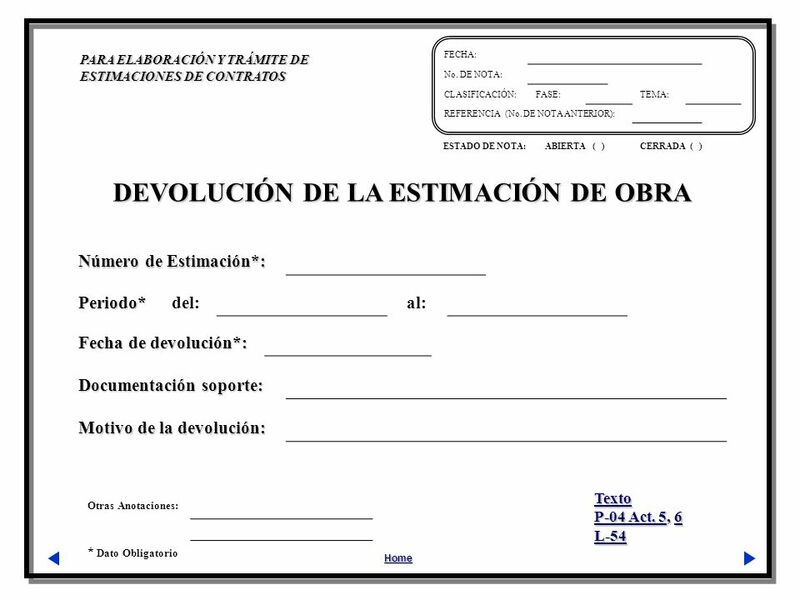 ÁREA DE MENCIÓN DE IDENTIDAD: ELEMENTOS OBLIGATORIOS CÓDIGO DE REFERENCIA TÍTULO FECHAS NIVEL DE DESCRIPCIÓN VOLUMEN Y SOPORTE DE LA UNIDAD DE DESCRIPCIÓN.